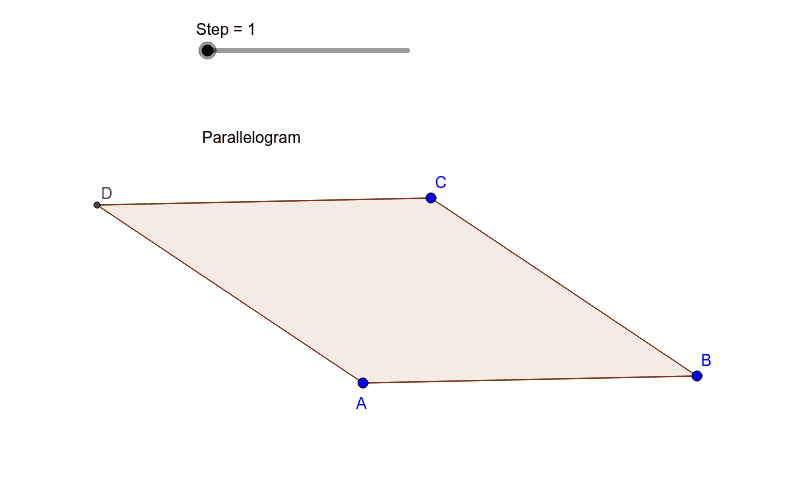 Use the slider in the applet above to explore the proof of the Pythagorean proof we did in class. Then write the proof in words using the image as your guide. 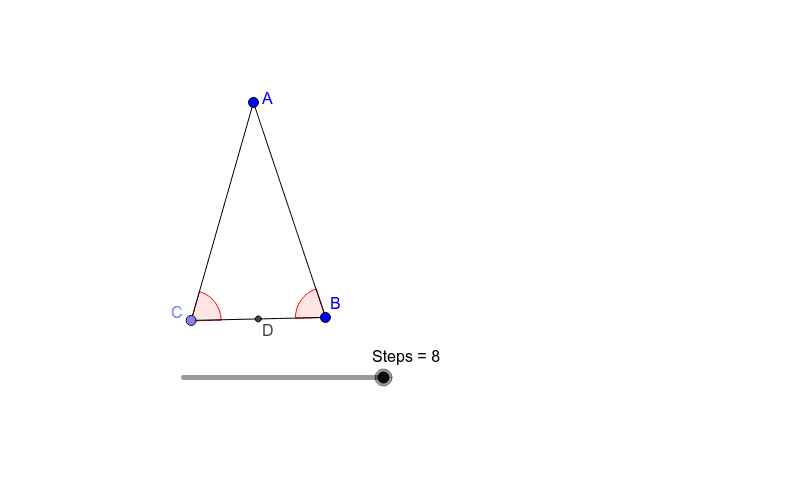 Use the steps shown in the image above to write a proof of the theorem that non adjacent interior angles of a parallelogram are congruent. 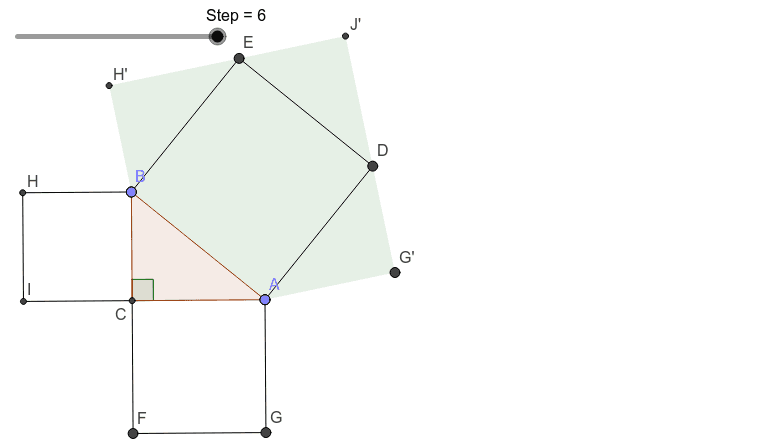 Give the precise theorem that is being proved in the image above. Write in words the proof for the theorem you claim the image is showing.